Two years after walking out of Jack’s wedding, Lexi has finally put her past behind her. She has made up her mind about where her life is headed. This time, she is sticking to her guns, no matter what. That is, until a phone call shatters the fragile grasp she has on her new life. 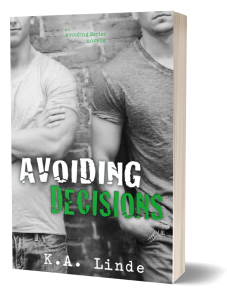 Lexi is forced to question everything she thought she knew about what she wanted, and life-changing events push her to reevaluate the very plans she holds so dear. Nevertheless, Lexi has to choose her true path. That might just mean deciding, once and for all, that she doesn’t have to answer to anyone but herself. 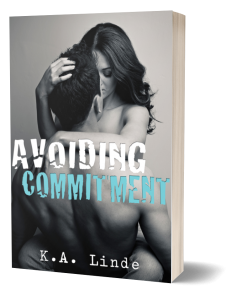 In this highly anticipated final installment of the bestselling Avoiding series, follow Lexi as she juggles a new career, a new city, and the burgeoning affections of three very different men.